Similar to how JP Morgan's CEO Jamie Dimon tried to deceive the markets on what the bank thought of Bitcoin and other cryptocurrencies by vilifying them in public and buying them in private, Goldman Sachs' Lloyd Blankfein too was following in those same footsteps when he repeatedly tried to discount the asset class through the media. But inevitably the truth always comes out and with Goldman's hiring of Justin Schmidt as their new head of their digital asset market desk, the Vampire Squid appears set to try to become the new masters of the Bitcoin universe. 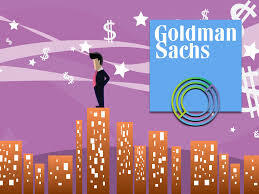 Goldman already had exposure into cryptos as earlier this year they dipped their toes into the cryptocurrencies waters by having one of their partners (CIRCLE) enter into the sector as a cryptocurrency exchange.